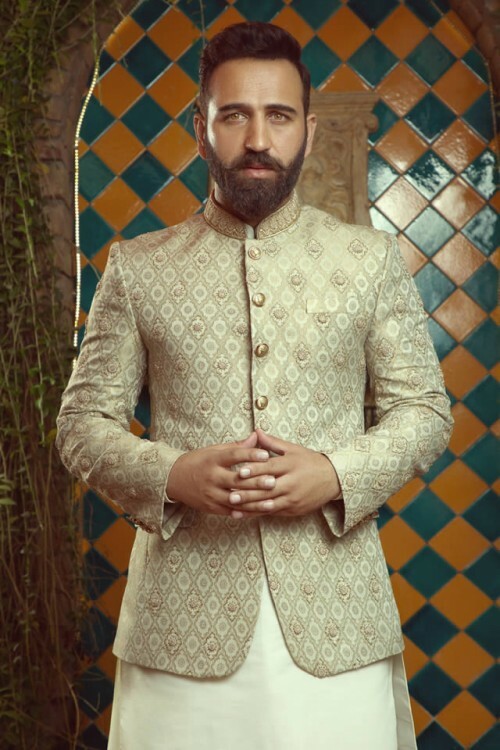 Shameel khan eastern wear fashion designer has launched his new fall/winter royal wedding collection 2018-19. 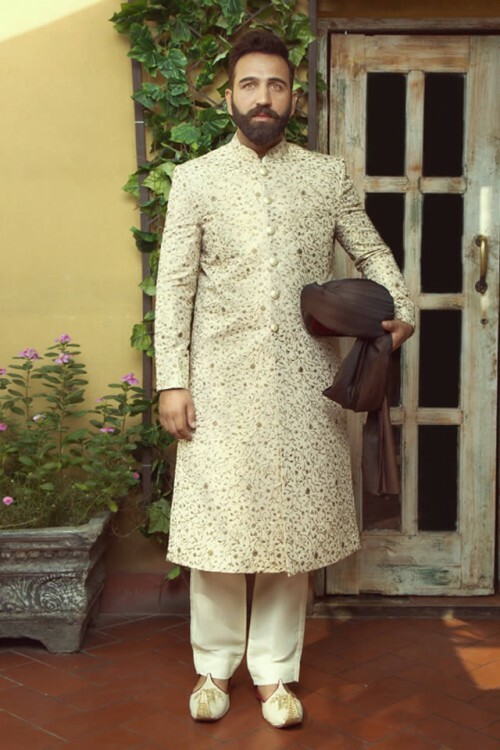 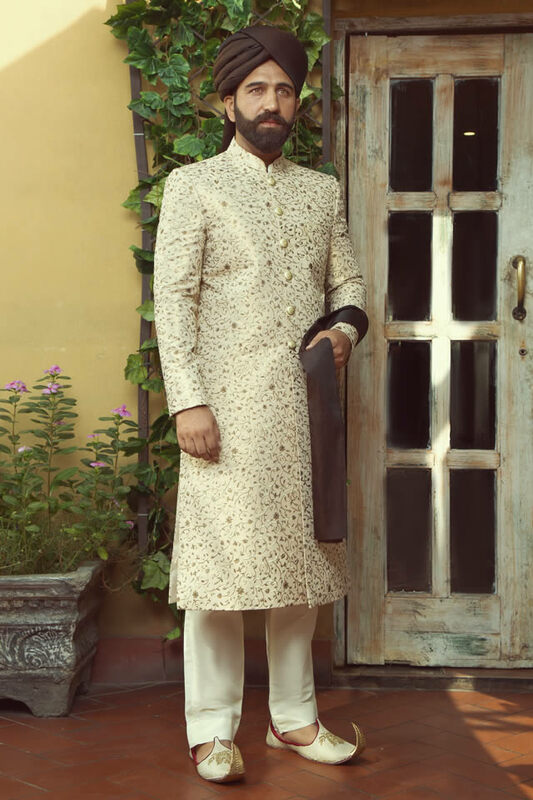 The collection has amazing pieces that will have a strong emphasis on the tradition of Pakistan, specially featuring the prince coat, specifically designed for the groom. Shameel khan has minimalistic design to ensure that the groom looks elegant and suave. 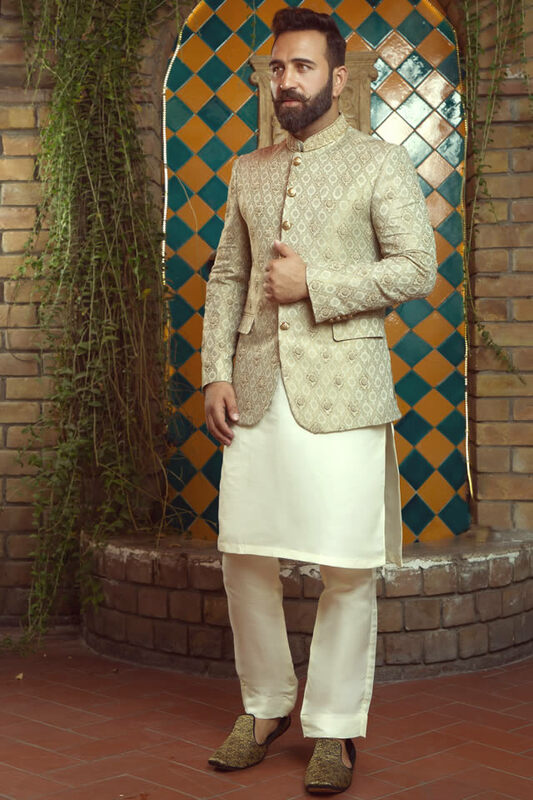 He plays with the cuts beautifully, and keeps the things simple, Shameel khan collection offers shalwar kameez, prince coat, sherwani and khusa. He is known for his best work and on time delivery, beside the featured pieces, there are a lot of other options for the customers. 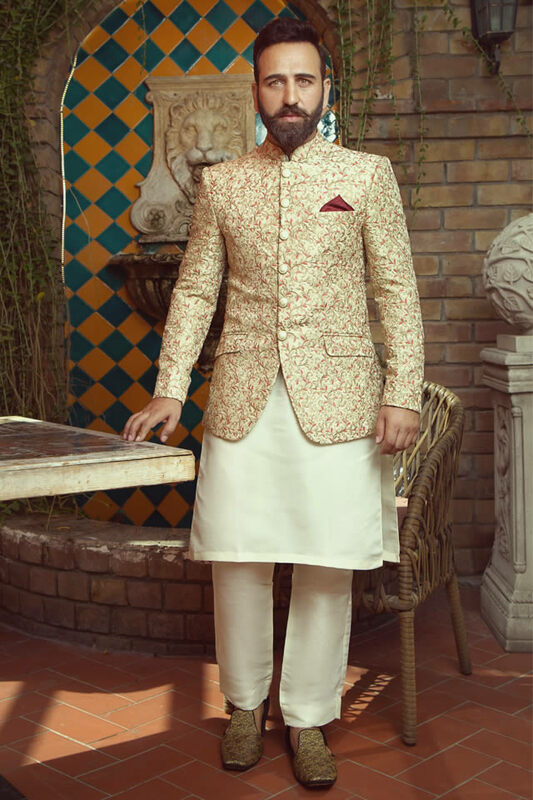 Option includes hundred of fabrics, turban choice, and button choice. 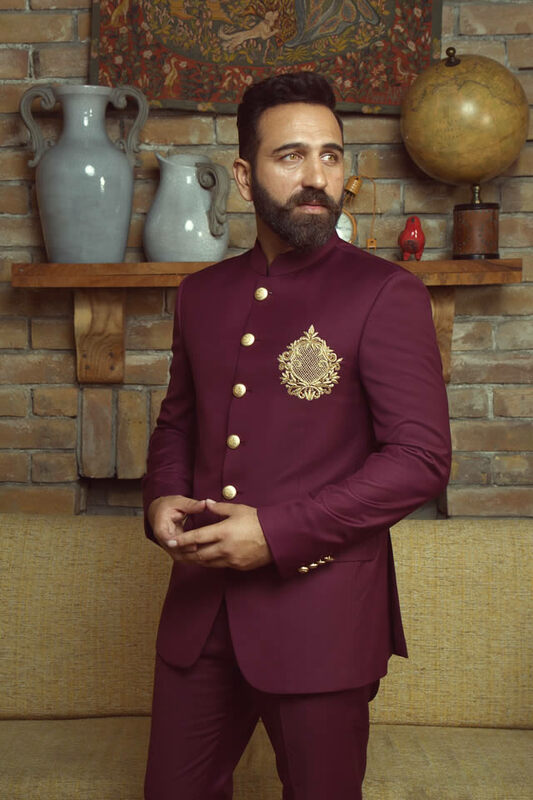 Shameel khan is an eastern wear designer and is well known for his customized clotting collection. He is a specialist of sherwani, prince coat, khusa, turban and shalwar kameez. 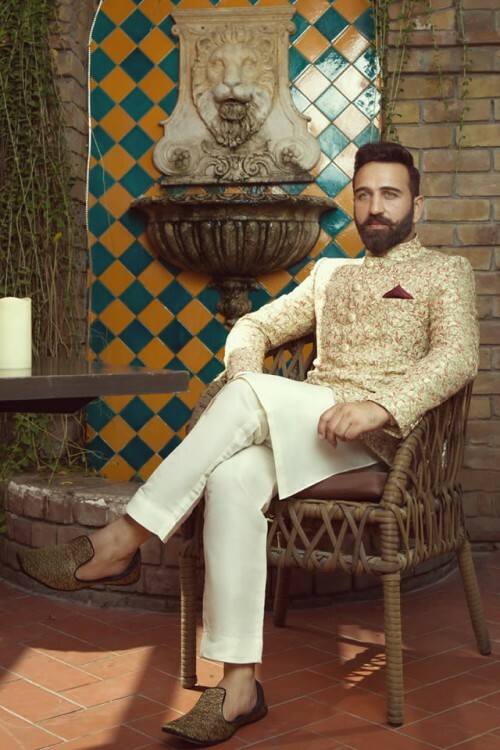 The special services include having the same motif on both the sherwani and the khusa, Shameel currently has a store in fortune mall, near Husain chowk, Lahore.